Our DJ, Tim Harris, was spectacular! He is easy to work with- listening to our suggestions and creating a great mix that kept our party hopping all night long. TJ kicked off the night at Heinz Field with some great Steelers-themed introductions for our bridal party. We loved working with Modern Era Weddings and Tim Harris. We would absolutely recommend this DJ and company to anyone getting married in the Pittsburgh area! Tim (TJ) Harris was the dj at our wedding on 10/17/15. He was laid back and easy to communicate with during the planning process. Guests commented on how much great music was played…my only regret was that my venue didn’t have a bigger dance floor, because it was packed all night!!! Also, Modern Era makes it easy to work with them…through their website, we could make song selections, organize the wedding day timeline, and make payments. I can’t say enough good things about DJ Tim (TJ) Harris and Modern Era Weddings. From beginning to end TJ and the online system made everything so easy and stress free. Most importantly, TJ literally had every single person at our wedding on the dance floor. My husband and I wanted an awesome dance party and he exceed our expectations. all our guest commented how great the music was and that they had never had so much fun at a wedding. 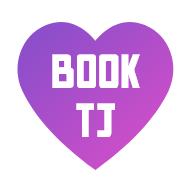 I highly recommend TJ to any bride and groom! So amazing, we are still talking about it! TJ and the crew at Modern Era Weddings were simply outstanding! TJ was professional, responsive, and thorough. He asked great questions during our two meetings, and really listened to what we wanted. He shared his ideas with us, and provided valuable feedback re: ceremony timelines, etc. He really embraced our (slightly crazy) ideas and showed tremendous enthusiasm – it was so refreshing to know that our DJ was excited to do our wedding! Most importantly, TJ is an AWESOME DJ!! He was flawless with our ceremony cues, and kept the night moving on schedule. He played all the songs we asked for, and selected the perfect additions from his own playlist, working perfectly with our eclectic tastes. The dance floor was packed all night and our guests danced until their feet hurt! Amazing job, TJ! My husband and I were married this Summer and we selected Modern Era for their DJ services. We really can’t say enough about how well it was handled from beginning to end! In all, we got a top quality DJ (Mr. TJ Harris) and at a price that was very competitive. Their office / show room is conveniently located in the SouthSide Flats and is a great place to discuss your wedding plans and the other services available. A special thanks to TJ Harris! You definitely delivered; count on us for a recommendation when friends or family need to throw a party AND keep it going! (Our venue’s Air Conditioning broke DURING the reception and TJ managed to keep people on the dance floor and having a good time, even though it was over 80F and humid in the room.) He took a genuine interest from the first time we met up, listening carefully to everything we wanted (and didn’t want), before familiarizing us with all of the available options and customizations. At our reception, he effortlessly read the crowd and not only played everything as we had requested, but also played a few songs of his own choosing to fit the mood. In short, TJ (and Modern Era as a whole) made the process: easy, personal, stress-free, and fun. Thanks again! We are so happy that we went with Modern Era Weddings with DJ TJ Harris. It was important to us to work with a DJ that was able to mix, understand us, and keep a party going, and TJ went above and beyond to fulfill all of the above!! TJ was professional, fun, quick to respond, and had great suggestions, which was exactly what we wanted. TJ was there our entire day, from before the ceremony to set up until after 2am when our after party finished. He switched locations throughout our venue for the ceremony, cocktail hour, and reception without a hitch, stuck through the heat at our outdoor ceremony, and graciously volunteered to play our after party for several hours which is something that he truly did not have to do (but that we MUCH appreciated). He did a fantastic job of not only getting people on the dance floor, but keeping people on the dance floor. We had some last minute changes and updates that he rolled right along with. Even beyond how great he was to work with, he is a skilled, seasoned DJ and just watching him in his element was fun in itself. We felt secure in going with Modern Era from our first contact with them and felt that they truly cared about making our day awesome. Their online system is incredibly easy to use and was helpful at keeping things organized for everyone. I had several songs that I expected to be difficult to find, and TJ was able to find them all and work with a Spotify playlist that I had for cocktail hour and dinner. A DJ can truly make or break a wedding, and my husband and I can definitely say that going with Modern Era and TJ Harris MADE the wedding from start to finish. I cannot think of a single negative thing to say other than I wish that we had an excuse to have a giant party with TJ to DJ again. Thanks Modern Era and TJ!! Modern Era was awesome, and TJ, our DJ was so helpful! He was very responsive and always got back to us quickly. He was easy to talk to and our planning meeting went great. TJ really listened to our ideas and offered advice on how to pull them off. He embraced our musical theme and created an awesome playlist to go along with our requests. Best of all, he’s so talented! He had everyone dancing all night and he really helped to make our spring wedding into an awesome party. Modern Era (and TJ) was a great choice for our wedding – their staff are talented, they are really affordable, and they know their stuff. I would highly recommend them for any event. DJ TJ was awesome. He threw a great party and kept everyone dancing and having fun all night. We got lots of compliments from our guests about how good the music was, and he even joined us for the after party! The whole Modern Era experience was smooth and comfortable, and I highly recommend them. Tim Harris was awesome and made the night run perfectly! The music was just what we wanted that our guests refused to leave the dance floor at the end of the night. Thanks for a perfect dance party! The fog and uplighting was also a great addition to it all – really made the room feel warm and enhanced the photos of the ballroom! Our DJ Tim Harris was great! He was easy to work with and did a fantastic job at our reception! Our DJ Tim Harris was great! He was professional and easy to work with. He always responded in a timely manner. The variety of music was great and everyone enjoyed themselves! DJ Tim (TJ) Harris was spectacular. He was super responsive to our requests and really did a lot to make our wedding day special. The dance floor was packed the whole time. There were people there who usually don’t dance who were living for the music. He was so nice and super fun. He really worked with us and helped keep the reception moving but was not pushy. Great music mixes and so professional. Definitely use Modern Era, it’s worth the money and requst DJ Tim (TJ) Harris!! All couples that book with me get a FREE customized page to share EVERYTHING about their upcoming wedding.